On behalf of the entire Design & Promote staff, we would like to give a big thank you to all of those who have supported us and contributed to our success in receiving the Naperville Chamber of Commerce 2014 Small Business of the Year Award. 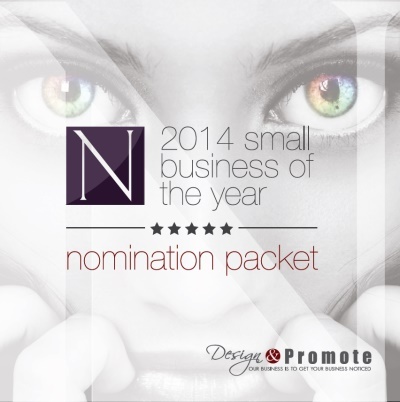 Our nomination for the 2014 Naperville Small Business of the Year came as a great professional honor to our staff, as a company that started as an after-hours project of our CEO Bruce Jones and grew into the Naperville based internet marketing, SEO, and design firm and small business that it is today. At the Naperville Area Chamber of Commerce 2014 business awards, our team was honored in several categories. Initially, the Naperville chamber selected us as the winner of the 2014 business-to-business award. 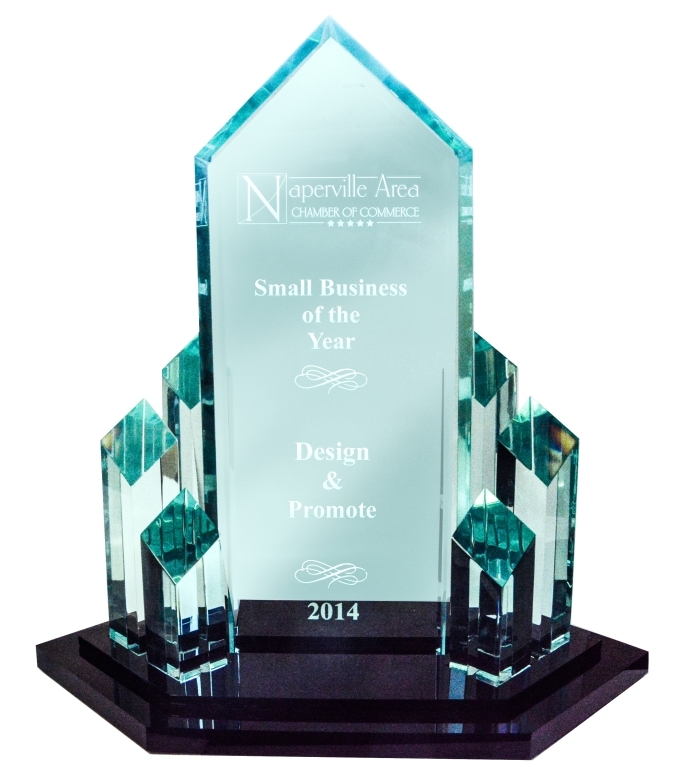 Consequently, the chamber designated us as winner of the overall Naperville 2014 Small Business of the Year Award. Not only did we win in the Naperville 2014 Business of the Year Awards, but we were able to reflect its goal of helping other businesses succeed at the Naperville Chamber Awards by assisting other winners as well. We designed the winning business packet for KidsMatter, who received the award for 2014 not-for-profit small business of the year. In addition, we also designed for Positive Behavioral Connections , a finalist in the Naperville Area Chamber of Commerce 2014 awards professional category. As winner of the Naperville Chamber 2014 Small Business of the Year award, we appreciate the irony that more than six years of “getting other people’s business noticed”, finally got us noticed as well! Our marketing and SEO for Naperville businesses will continue to work to help the Naperville community flourish. Thank you once more to all those who have made our honorable title as 2014 Naperville Small Business of the Year possible.